Shane Buechele, Sam Ehlinger, Casey Thompson, Cameron Rising all to battle at QB. Is anyone really that worried about Todd Orlando's ability to rebuild the Texas defense? 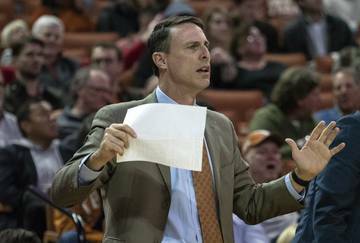 The offseason is usually the silly season, and so it goes for the Texas football program. 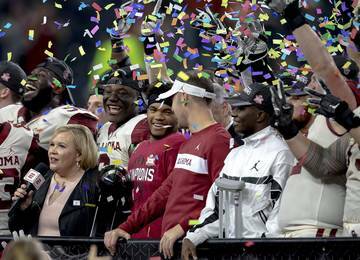 Over the past two months, a UT recruiting staffer rocketed from obscurity to superstar status by telling people to “Shhhh.” A recruit’s mother, who goes by the Twitter handle “mUTha hustla,” became an unofficial staff member and social media star. Winter workouts ended with safeties coach Craig Naivar wielding a flame-throwing guitar at a make-shift beach party. Make no mistake, this is terrific fodder from January through March. But guess what you didn’t hear? Nobody was complaining. Disgruntled parents kept their anonymous gripes to themselves and off Internet message boards. Players didn’t grumble about burnt biscuits and soggy pancakes for the losers of various workout competitions. Nobody suggested strength coach Yancy McKnight was too overbearing. 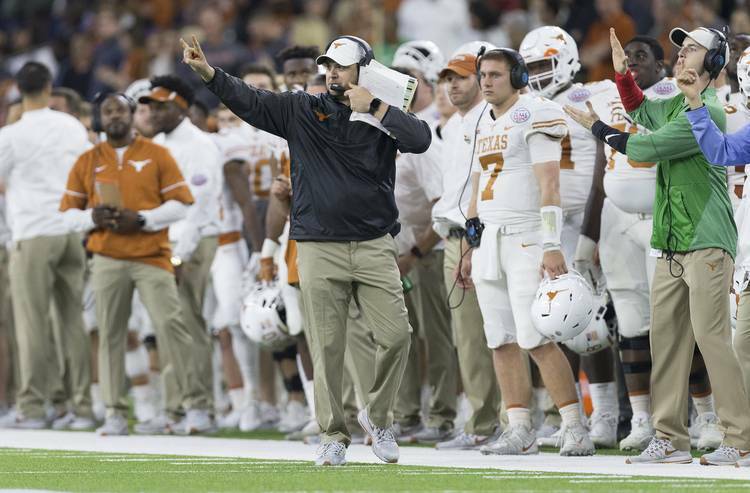 Texas coach Tom Herman practically sailed through a smooth offseason. 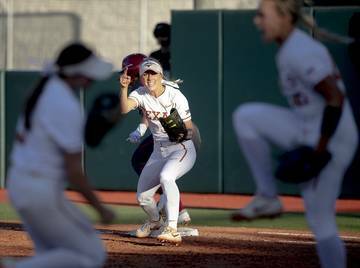 The Longhorns went 7-6 in 2017, snapping the program’s three-year losing streak. New athletic director Chris Del Conte paid up to keep critical staff members. 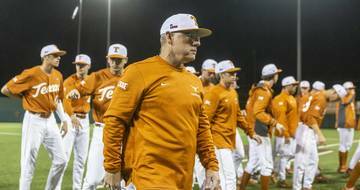 In February, UT hauled in a dynamite recruiting class that ranked among the top three in the nation. Spring practice begins Tuesday. The annual Orange-White game is scheduled for April 21 at 6:30 p.m. at Royal-Memorial Stadium. Herman was not available for interviews last week. But the coach clearly enjoyed himself while throwing out the first pitch of the Stanford-Texas basesball series on March 9. 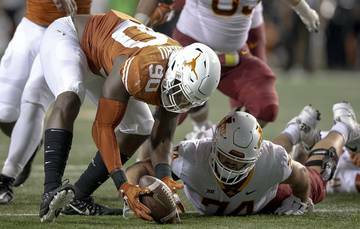 The Horns have lost a slew of veterans, including left tackle Connor Williams and linebacker Malik Jefferson. All six UT players who attended the NFL scouting combine were told by the NFL’s evaluation committee that they should return to school, multiple sources said. Punter Michael Dickson has the strongest case to leave early. He won the Ray Guy Award as the nation’s best punter. But those six players were on teams that posted a combined record of 17-20 last three seasons. Losing wears you down. Herman’s attitude? Go find better players to replace them. 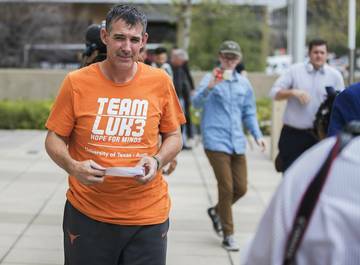 Texas’ quarterback quandary ruined Charlie Strong’s tenure in Austin. David Ash’s concussion history and the staff’s inability to find someone other than Shane Buechele fueled three losing seasons. From day one, Herman refused to make the same mistake. Buechele, who’ll be a junior this fall, enters the spring as the battle-tested — and injury-scarred — veteran. Sam Ehlinger is the player Herman desperately wanted to fall in love with. But Ehlinger’s key late mistakes in three losses (USC, Oklahoma State and Texas Tech) have dampened that “Bachelor” feeling. Early enrollees Cameron Rising and Casey Thompson will go through spring drills and compete for the starting job as well. In February, Herman had not seen either freshman throw enough to make any determinations. Herman didn’t want to rotate quarterbacks last season. Injuries and inconsistency forced him to alternate between Buechele and Ehlinger. At least now he’s got more choices. The deepest, most-talented position group on the roster last season proved to be the most disappointing. The receivers never found their groove. Armanti Foreman and his father got crossways with Herman. He got benched in October but still finished as the team’s leader in receiving touchdowns. Collin Johnson wasn’t physical enough for the staff’s liking. Reggie Hemphill-Mapps suddenly transferred. Herman does not criticize staff members in public, but it’s clear by his offseason moves that he was unhappy with the group’s leadership. Receivers coach Drew Mehringer now has some help; former tight ends coach Corby Meekins will split duties with him. Johnson has the highest stat total of those returning, but Lil’Jordan Humphrey has everyone’s attention. Incoming freshman Brennan Eagles was eighth on the American-Statesman’s Fabulous 55 list. 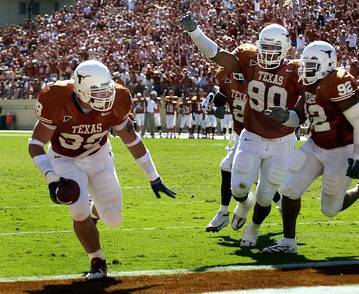 Texas also must establish its running game. Toneil Carter, Danny Young and summer enrollee Keaontay Ingram will work on that in August. Rice graduate transfer Calvin Anderson, a projected starting left tackle, will arrive this summer, too. 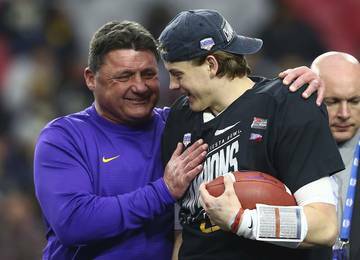 New offensive line coach Herb Hand, a 27-year coaching veteran who was hired from Auburn, will direct the offensive line and help the running game. For now, the quarterbacks and receivers need to work on their timing. The Horns ranked seventh in the Big 12 last season by averaging 258.8 passing yards per game. Herman is genuinely amused by the vast attention paid to the biggest question around Austin: Who’s calling the plays? In his mind, the entire offensive staff puts together the game plan during the week. Offensive coordinator Tim Beck is merely the one who radios down to the sideline what specific play to call in various situations. In Herman’s mind, mediocre quarterback play, having no clear playmaker at running back and an injured-filled offensive line was the problem in 2017. Not the play-calling. Herman took the headset himself in the Texas Bowl against Missouri. After watching all season long, he wanted to see what Beck and Co. were up against in the heat of battle. The Horns captured a 33-16 win and “secured the bag,” so to speak. Herman has said it’s difficult to call plays from the sideline. He would prefer to be up in the press box watching from above. That’s not possible as the head coach. So Herman and Beck must figure out how to approach things in 2018. Texas lost Jefferson, Poona Ford, DeShon Elliott and Holton Hill to the NFL draft. But in all honesty, is anyone really that worried about defensive coordinator Todd Orlando’s ability to find a solution? Del Conte stepped in and gave Orlando a raise to $1.7 million this offseason when other suitors came calling. Orlando, who has not spoken publicly since prior to the bowl game, wants to stay at UT and get the Horns back to national relevance. He’ll have some interesting pieces to work with. Gary Johnson is poised for a breakout season. Breckyn Hager and Charles Omenihu will move from role players to center stage. Keondre Coburn and Moro Ojomo are projected as two talented newcomers this August. The Horns are also adding what is considered the best group of defensive backs in the nation, if not school history. How different would last season look if Texas had a consistent kicker? Color-coded binder jokes aside, Texas tied for seventh nationally with 30 attempts on fourth down mostly because Herman didn’t trust his kicker. Cameron Dicker of Lake Travis, widely considered the best kicking prospect in the nation, will enroll this summer. Meanwhile, the Horns are pinning their punting hopes on Dickson’s cousin, Australian-born Ryan Bujcevski. 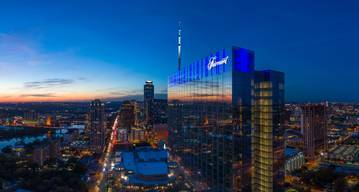 He enrolled in January and followed a similar path to Austin. Bujcevski played Australian-rules football until he was 17 and then moved to Melbourne to train with American rules. The Longhorns will suit up the No. 1-rated kicker and punter recruits in the class of 2018. 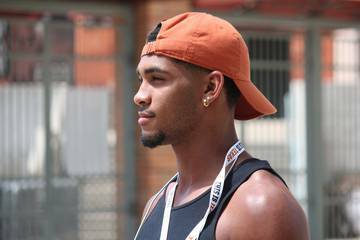 If either player lives up to their billing, the Horns will be great beneficiaries.